RKD headquarters are located in Mumbai with branch offices in New Delhi, Pune, Chennai and Kolkata. 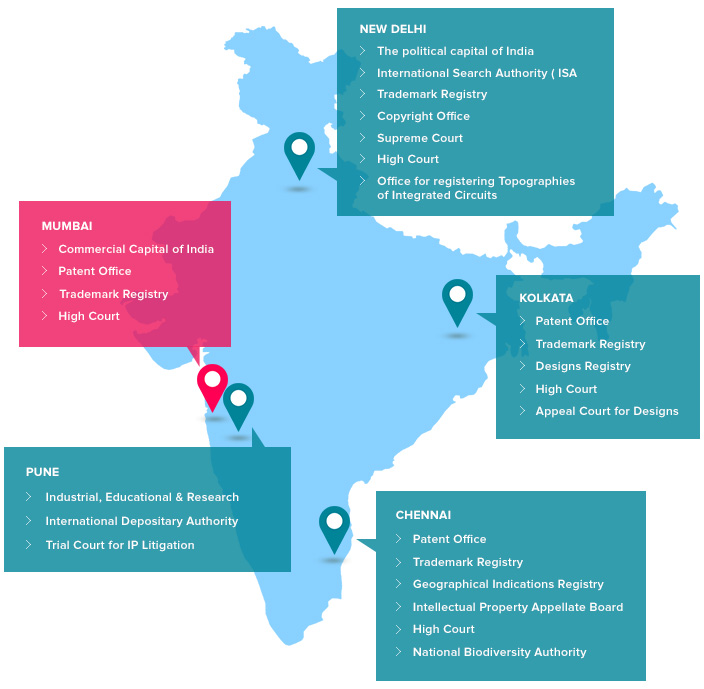 India has a very unique IP administrative system with IP related offices located throughout the country. RKD has strategically established offices to efficiently attend to any and all IP matters, as required, at each of these locations.